Democratic presidential candidate Kamala Harris on Saturday will call for a significant federal investment in teacher pay, a campaign aide says, the first policy proposal that she has put forth since officially launching her 2020 campaign. 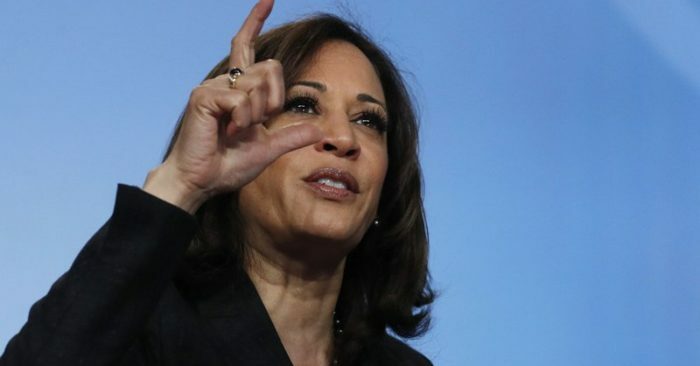 Harris, a U.S. senator from California, plans to release more details of the plan next week, but her proposal will amount to the largest federal investment in teacher pay in American history, the aide said. It was not immediately clear how much money Harris is calling to be diverted to educators’ pay or how the plan will be funded. The aide spoke to The Associated Press on condition of anonymity to describe a proposal that hadn’t yet been made public. Harris’ focus on the pay of educators comes as walkouts by teachers protesting low pay and education funding shortfalls have made headlines across the country. Throngs of teachers have marched in states across the country demanding better funding, including in California. In February, Harris threw her support behind striking teachers in her hometown of Oakland, where she launched her campaign earlier this year.